Anyone who loves to experiment with their hair colour will tell you it's hard to resist the siren song of pastel hair. And with so many popular brands now selling fantasy colours right next to the more traditional colours on the high street, it seems so easy to transform yourself into a something of a mythical creature. The reality, however, is that achieving pastel hair can be a pretty tricky process involving bleach, toner and dye, and it's an undertaking best left to the professionals, as one 29-year-old woman recently learned the very, very hard way. "I wanted unicorn hair, where you lighten it and then dye over the top with lots of different pastel colours," Kirsty Weston told The Daily Mail. "I never thought it would end up completely destroying my hair and changing my life like this. It's caused a lot of pain and I've completely lost my self-confidence." Weston is referring to the ordeal she endured after attempting the trendy look on her own, which resulted not only in an allergic reaction, but huge, permanent bald spots on her head. After purchasing inexpensive hair bleach, Weston applied it to her head, only to find her scalp "literally smoking" after 15 minutes. "The pain was so excruciating that I started to feel dizzy, like I was going to faint," she recalled. But although she did her best to rinse it all off, the damage had already been done. "The next day, half my face started to balloon and I thought it was a reaction," Weston said, explaining that she went to the hospital for what she thought was an allergic reaction. "I couldn't open my left eye." It wasn't an allergic reaction, however. When the discomfort continued weeks after her initial treatment with antibiotics, she returned to the hospital to learn she had been suffering from severe burns. "A plastic surgeon came to see me and when they lifted my hair, most of my scalp came away with it," Weston said, remembering how painful it was both physically and emotionally. Ultimately, Weston had to go through six operations during a three-week hospital stay, including a skin graft sourced from her thigh. It replaces the skin she lost on her scalp, but because it doesn't contain the same kind of hair follicles as scalp skin, Weston will most likely remain bald on all of the treated areas. Although Weston has options for eventually having hair again - a procedure that would expand healthy skin that could potentially regrow hair, or a hair transplant - the unreliable nature of both operations has made her reluctant to pursue either of them, not to mention her priority is taking care of her young daughter, Lexi. "I would have to travel back and forth to hospital every week, which is difficult when I have a little girl to look after," she said. Fortunately, the Katie Piper Foundation is working on creating a customised hair piece for Weston. In the meantime, she wears a headscarf when she's out in public. Birnur Aral, Ph.D., Director of the Good Housekeeping Institute's Health, Beauty and Environmental Sciences Lab believes that, even if Weston was following the directions provided with the bleach, it was risky to attempt to follow those directions as a non-professional. 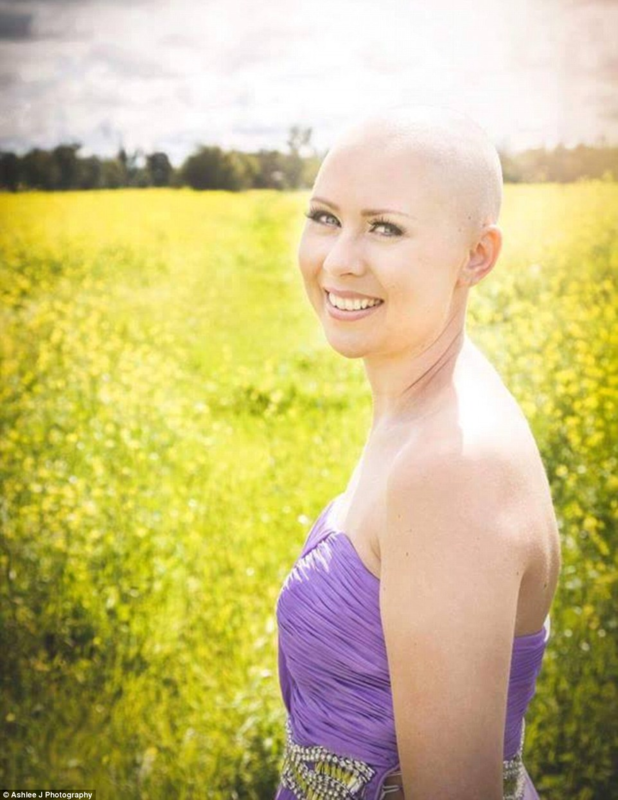 "Kirsty probably got a lot more on her scalp and possibly did not use it in a well-ventilated area," Dr. Aral says. "If you ever dyed your hair at home, the instruction sheet would always advise a patch test to be done 24 hours ahead of the application. This is all to make sure that an adverse reaction such as this can be prevented."